Owned by the Crosman Corporation, Benjamin air guns come in an array of classic air rifle and air pistol styles. 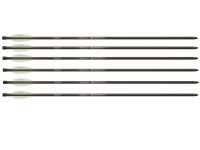 Benjamin air rifles feature wood and metal construction and pack a lot of power with many of their air rifles capable of 1000 fps or more. Benjamin air rifles are available in several models including PCP (pre-charged pneumatic), break barrel and multi-pump pneumatic actions. 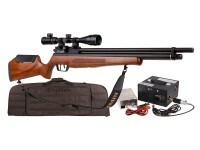 Benjamin air rifles are perfect for target shooting, plinking and pest control. In addition to quality air rifles, Benjamin has a small line of Benjamin air pistols available (CO2 and pump action). 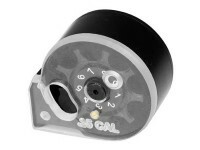 Benjamin also has their own line of pellets and accessories to accompany their legendary Benjamin air guns. 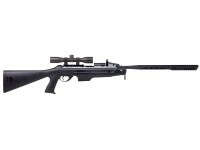 Benjamin Marauder has held the title of the best selling airgun for 5 years. 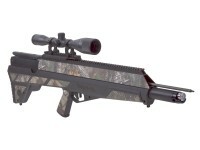 It's without doubt has been the best selling PCP air rifle in the market. Combine that with Benjamin NP (Nitro Piston) technology that Crosman brought to the market in 2012 and you will see why Benjamin air rifles have become so popular in the USA and abroad.